Andy is Professor in Environmental Sustainability and Dean of the Faculty of Environment at the University of Leeds. He has extensive research expertise from a range of agro-ecosystems in the development of integrated methods for land degradation and farming system resilience assessment. His current work is extending such approaches by developing vulnerability assessments based on studies at a range of scales, and incorporating environmental resilience, institutional analysis and socio-environmental scenario assessments. Andy leads the ‘Sustainability Science for Pro-Poor Climate Policy’ work package within the Centre for Climate Change Economics and Policy (CCCEP) that will analyse the integrated use of climate science and local knowledge in developing climate resilience projects and programmes in sub-Saharan Africa. 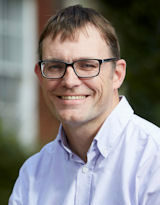 He is also leading field-based research assessments of sub-Saharan farming systems in related work as part of the NERC/DFID Future Climate for Africa programme. Andy has a BSc in Geography and a PhD in Environmental Change from the University of Sheffield. He has authored over 70 peer-reviewed on climate change vulnerability, adaptations to environmental change and land degradation assessment approaches. He has developed integrated participatory methodologies for stakeholder-led land degradation assessments in a range of agro-ecological zones across the globe, including semi-arid savannas, dryland mixed farming systems, mountain farming systems and temperate upland ecosystems. He has provided inputs to national, regional and international reviews of land degradation and climate vulnerability assessment methods for a wide range of academic and institutional reports. Climate services and adaptation planning. Exploring power and procedural justice within Climate Compatible Development design: whose priorities are being considered? Evidence and perceptions of rainfall change in Malawi: Do maize cultivar choices enhance climate change adaptation in sub-Saharan Africa? Conflicts about water in Lake Chad: Are environmental, vulnerability and security issues linked? Soil respiration at five sites along the Kalahari Transect: effects of temperature, precipitation pulses and biological soil crust cover. Seasonal differences in soil CO efflux and carbon storage in Ntwetwe Pan, Makgadikgadi Basin, Botswana. Contribution of forest provisioning ecosystem services to rural livelihoods in the Miombo woodlands of Zambia. Unpacking livelihood challenges and opportunities in energy crop cultivation: perspectives on Jatropha curcas projects in Mali. Advancing climate compatible development: lessons from southern Africa. Floristic composition, species diversity and carbon storage in charcoal and agriculture fallows and management implications in Miombo woodlands of Zambia. Laboratory analysis of the effects of elevated atmospheric carbon dioxide on respiration in biological soil crusts. Is rainfall really changing? Farmers’ perceptions, meteorological data, and policy implications. Channelling science into policy: enabling best practices from research on land degradation and sustainable land management in dryland Africa. Characterising the nature of household vulnerability to climate variability: empirical evidence from two regions in Ghana. The socioeconomics of food crop production and climate change vulnerability: a global scale quantitative analysis of how grain crops are sensitive to drought. Challenges and opportunities in linking carbon sequestration, livelihoods and ecosystem service provision in drylands. Mapping the vulnerability of crop production to drought in Ghana using rainfall, yield and socioeconomic data. Climate science, development practice, and policy interactions in dryland agroecological systems. Assessing vulnerability to climate change in dryland livelihood systems: conceptual challenges and interdisciplinary solutions. Beyond the garden fence: landscape ecology of cities. Urban agriculture and poverty reduction: evaluating how food production in cities contributes to food security, employment and income in Malawi. Scaling up from gardens: biodiversity conservation in urban environments. Linking degradation assessment to sustainable land management: a decision support system for Kalahari pastoralists. Adaptations to climate change, drought and desertification: insights to enhance policy in southern Africa. Typologies of crop-drought vulnerability: an empirical analysis of the socio-economic factors that influence the sensitivity and resilience to drought of three major food crops in China (1961-2001). Adaptations to climate change, drought and desertification: local insights to enhance policy in southern Africa. Land use and socio-economics. Identifying societal factors that lead to agricultural landscapes vulnerable to climate change in Malawi. Exploring power and procedural justice within Climate-Compatible Development project design: whose priorities are being considered?